Take a determined, strong, blaze-your-own-trail kind of woman and mix that with record-breaking solo flights across the Atlantic, authoring best-selling books, and then attempting a solo flight around the globe. Who do you get? Amelia Earhart. * Adventure travel involves exploration with perceived (and in most cases, actual) risk – yep, got that covered. We still don’t know what truly caused her disappearance during that fateful around-the-world flight. * Adventure travel typically requires specialized skills and equipment – it doesn’t get more specialized than what was required to navigate and fly solo in 1937. * Adventure travel means physical exertion – again, think dangerous solo flights in a small plane in 1937 and earlier. Plenty of physical challenges. * Lastly, what adventure traveler these days doesn’t blog, tweet or post about their experiences? 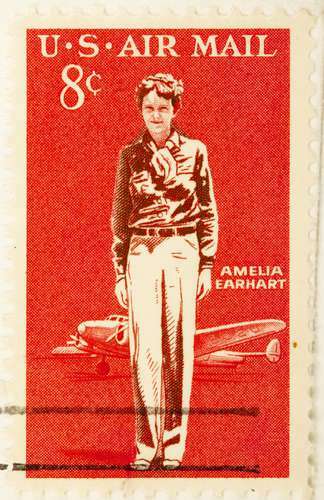 Amelia wrote best-selling books about her flying experiences. 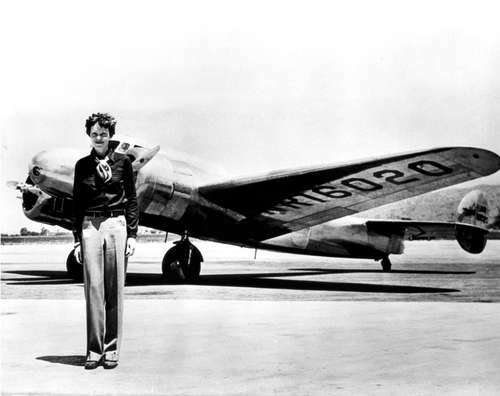 What else is awesome about Amelia Earhart? For starters, she played a key role in establishing a female pilot’s organization, The Ninety-Nines, an international organization that promotes opportunities for women in aviation. She was also a member of a women’s suffrage group, the National Woman’s Party, and an early supporter of the Equal Rights Amendment. Amelia Earhart was an inspirational role model for women and girls during her own era, and she continues to be one now. She forever changed the perception of women’s roles in society, and she was a kickass adventuress. We applaud her courage to be different and determination to achieve all that she set her sights upon.